Club O7, Off. S.P. Ring Road, Shela, Ahmedabad, India 380058. 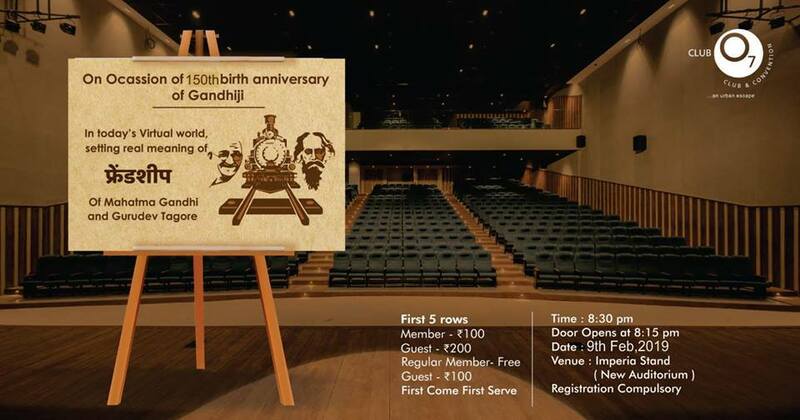 2019-02-09 20:00:00 2019-02-09 23:00:00 Asia/Kolkata Hindi Drama "Friendship"
Let’s watch Hindi Drama – “Friendship” of Mahatma Gandhi & Gurudev Rabindranath Tagore on 9th Feb at The Forum.